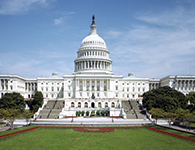 NACWA, joined by nine other water and municipal sector organizations, sent a letter to Congressional leaders March 8 urging them to reject the Administration’s proposed funding cuts to the Clean Water State Revolving Fund (CWSRF) in the Fiscal Year (FY) 2017 budget. The Administration has requested a $414 million cut to the program, which Congress must reject. Given the situation in Flint, MI and the persistent drought conditions in the West, now is a time when Congress must recommit to helping communities finance their water and wastewater infrastructure needs. NACWA members are encouraged to write, call or email their Congressional Delegations this week to urge support for the CWSRF, and to come to Washington, D.C. for the National Water Policy Forum, Fly-In & Expo in April to deliver this critical message in person. 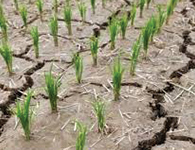 NACWA sent a letter to EPA March 9 providing additional input on the Agency’s permit writer training materials for nutrients. The Association has been working over the last several years to influence the content of the training, which encourages permit writers to translate narrative nutrient criteria into numeric effluent limits for clean water utilities. 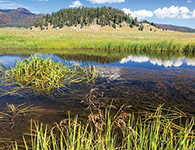 Through the Association’s Targeted Action Fund, NACWA’s Water Quality Committee has led development of a technical report and now has convened several meetings with EPA to explore potential changes to the training materials. During a recent meeting, NACWA and Agency staff went through the training materials in depth so that the Association could better understand how the information is presented to permit writers. The Association’s March 9 letter provided additional feedback from the meeting. EPA has been receptive to the issues raised by NACWA, but continues to advocate for approaches that were intended for use in regulating toxic pollutants, not nutrients – adding unnecessary layers of conservatism. NACWA plans to meet with EPA again to continue a dialogue on these issues. The Congressional Clean Water Caucus will host a Capitol Hill briefing on Wednesday, March 16 on Building Water Resiliency—From Wet Weather to Drought. NACWA’s President, Adel Hagekhalil, from the City of Los Angeles – LA Sanitation, will facilitate the panel discussion. 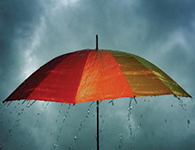 Two NACWA Member Agencies, the Metropolitan St. Louis Sewer District and the Miami-Dade County Water & Sewer Department, will be among the participants on the panel and discuss efforts by their utilities and communities to address resiliency issues. Several Members of Congress with strong interest in the topic plan to attend the briefing, including Reps. John Duncan, Jr. (R-TN), Rep. Daniel Lipinski (D-IL), Rep. Richard Hanna (R-NY), and Rep. Earl Blumenauer (D-OR). The briefing provides an important forum to inform Congressional staff about the resiliency issues faced by POTWs and the innovative ways that utilities are responding. More details are available here . The Clean Water Caucus was established to help inform Members of Congress and their staffs about the Utility of the Future concept and advance policies to promote clean water innovation. The Caucus is co-chaired in the 114th Congress by Rep. John Duncan, Jr. (R-TN) and Rep. Daniel Lipinski (D-IL). The Caucus Co-Chairs have circulated a “Dear Colleague” invitation to fellow House members to attend the March 16th briefing. We invite all NACWA members to follow-up with their Representatives to encourage them to attend. NACWA met with key EPA staff on March 9 to further discuss the Agency’s proposed changes to the municipal separate storm sewer system (MS4) Phase II rule. The Association shared a number of concerns that have been raised by Association members, including that the proposal is seeking to make substantive changes to the “maximum extent practicable” (MEP) standard that governs regulation of MS4 discharges under the Clean Water Act. EPA officials reiterated that the proposal is only intended to make procedural changes to the Phase II program, not substantive alterations to the regulatory requirements for MS4 utilities. NACWA suggested a number of ways this could be clarified in the final rule, and the Agency appeared receptive to these ideas. On March 11, NACWA sent a letter in support of H.R. 4615, the Water Conservation Rebate Tax Parity Act, recently introduced by Reps. Huffman (D-CA) and Rohrabacher (R-CA). The bill seeks to provide clarity in the federal tax code that rebates for water efficiency and stormwater management at residential properties are exempt from federal income tax. 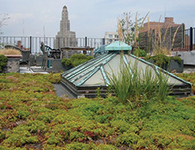 NACWA has engaged with a coalition of environmental and advocacy groups collaborating to ensure that utilities using private property green infrastructure rebate programs can move forward without the chilling effect that taxation may cause. There have been increasing concerns raised about whether payments to private property owners – made as part of certain water conservation, stormwater management, and even land conservation programs – can be considered taxable income under federal tax law. NACWA is working with a variety of partners to aggressively address these concerns and achieve the needed regulatory and statutory clarification to ensure that these inventive programs are not subject to federal income tax. NACWA spoke with key staff from EPA’s Air Enforcement Division on March 11 about the impending March 21 deadline for sewage sludge incinerators (SSIs) to come into compliance with the Clean Air Act. Several communities around the country have expressed concern with meeting the deadline and many are confused over the timing of EPA’s final Federal Implementation Plan (FIP), which will not become effective until after the March 21 statutory deadline. EPA stressed that utilities in states following the FIP that are concerned about meeting the statutory deadline should reach out to their EPA Regional Office to ensure the Agency understands what progress has been made. EPA indicated that it will take a more typical enforcement posture in cases where EPA does not know the status of work at the utility and the Agency has to initiate a compliance investigation. EPA is prepared to enter into administrative orders or consent decrees where needed and would likely pursue a small or de minimis penalty in cases where the utility has been making active progress. 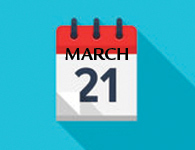 While some argue that no legal requirements apply until the FIP becomes effective – 30 days after it is published in the Federal Register – NACWA is encouraging its members to make every effort to comply by March 21. The water crisis in Flint, Michigan continues to receive significant national attention, and Congress appears to be inching closer to a compromise to provide financial aid to the City and other communities suffering from high lead levels. On March 6, a Democratic Presidential Debate was held in Flint, and the issue of water contamination was front and center. Both candidates used their opening statements to discuss the crisis and expressed deep concern over the developments that contributed to the elevated lead levels in drinking water. Both also raised concerns about the high cost of that City residents were paying for water, highlighting the challenge that many communities, like Flint, are facing in paying for basic water services. EPA Administrator Gina McCarthy also focused on the situation in Flint during remarks to the National League of Cities (NLC) on March 7. McCarthy noted the significant costs facing the nation in addressing a growing water infrastructure crisis, and called for a “national conversation” to address these issues and ensure a situation like Flint does not happen again. NLC also passed a resolution calling on Congress and the Administration to resolve this crisis. The U.S. Conference of Mayors weighed in, as well, with a letter calling for more federal assistance to help Flint, and the American Water Works Association (AWWA) published an analysis on the number of lead service lines nationwide. In a related development, Congressional negotiators made progress on a deal that would provide approximately $250 million in additional federal funding to aid Flint and other communities facing lead pipe replacement projects. If final agreement on a package is reached, it will likely advance as part of the Senate’s consideration of a comprehensive energy bill in the next week or two. 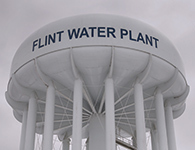 NACWA joined with other water sector associations last month to release a joint statement on Flint, and has continued to closely monitor the situation. We will continue to report on developments. EPA held a conference call with NACWA’s Pretreatment & Pollution Prevention Committee on March 8 to discuss the Agency’s study on the Metal Finishing category. EPA is conducting a preliminary study of the Metal Finish category, as described in the Final 2014 Effluent Guidelines Program Plan . The effluent guidelines for metal finishers were promulgated in 1983, and the industry has changed substantially since then. EPA began collecting preliminary input from the Pretreatment & Pollution Prevention Committee during its meeting at the 2015 NACWA Pretreatment & Pollution Prevention Workshop, and the Agency is continuing to gather information about metal finishing practices and the challenges utility pretreatment programs face with this industry. The Agency will be discussing this study further at the 2016 NACWA Pretreatment & Pollution Prevention Workshop, May 18-20, in Long Beach, CA. On March 16 at 2:00 pm Eastern, NACWA will host a complimentary web seminar, featuring a panel of experts to discuss a number of emerging legal issues affecting the clean water sector. The discussion will include the U.S. Supreme Court’s upcoming review of a clean water case, and how the passing of Justice Antonin Scalia will impact this and other clean water issues due to be considered by the Court. Attendees will also learn about the cooperative relationship between EPA and the states, and how this relationship works and doesn’t work in the context of the Mississippi River Basin nutrient criteria litigation and the lead crisis in Flint, Michigan. NACWA’s ‘not to be missed’ panel of legal experts will share their insights on these emerging issues, followed by the opportunity for members to engage them in a Q&A session. A summary report of December’s International Water & Climate Forum, of which NACWA was a supporting association, was released this week. The event engaged a diverse mix of water sector researchers and practitioners from around the globe. Discussions during the Forum tackled a wide range of topics including: the key drivers of water and climate risk, resilience, and opportunity; adaptation and mitigation planning; citizen engagement and methods for communicating about climate change; the elements of and approaches to driving greater resilience in infrastructure and water resources management; and the political, policy, and regulatory aspects of addressing climate change impacts. The Forum proceedings supported a wealth of information exchange and provided an optimistic picture of the water sector’s role in and contribution to driving greater community climate change resilience and overall improvements in community sustainability. NACWA participated in two meetings last week to highlight the important work being done by the Association’s members. In Atlanta, NACWA joined with American Planning Association (APA) and the National Recreation & Parks Association (NRPA) to participate in the Great Urban Parks Campaign with the goal of improving environmental and social outcomes in underserved communities through green infrastructure (GI) projects in local parks. NACWA members the City of Atlanta, the City of Philadelphia, and the Milwaukee Metropolitan Sewerage District were all highlighted for the good work they are doing in this space. NACWA’s also gave a presentation on the Association’s Toilets Are Not Trashcans campaign on March 9 at the New Jersey Association of Environmental Authorities conference. The presentation focused on the work that NACWA is doing on wipes to improve labeling for non-flushable wipes, update flushability guidelines, and inform the public about responsible flushing. More information is available at www.nacwa.org/toilets. Applications are now being accepted for NACWA's Peak Performance Awards program for NPDES compliance in the 2015 calendar year. The application deadline is April 8. Register for the March 16 Hot Topics in Clean Water Law Web Seminar, scheduled for 2:00 PM - 3:30 pm Eastern. The complimentary Seminar will cover the impact of Justice Scalia's passing on upcoming Clean Water Act cases before the U.S. Supreme Court, as well as the ongoing Mississippi River nutrients litigation over numeric nutrient criteria and EPA necessity determinations (see related article). Register for the National Water Policy Forum, Fly-In & Expo, April 11-13, 2016 in Washington, DC. In light of the drought in the West, the crisis in Flint, Michigan, and public concerns over the operations of the nation's water systems, it is critical for federal policymakers to hear from you about the important work your utility is doing! Become a supporting organization of Water Week 2016! The week of April 10, 2016 has been designated as a week for the water sector to work together to highlight critical water issues shared by all states, cities, and communities. The National Association of Flood and Stormwater Management Agencies (NAFSMA) has officially opened its 2016 Green Infrastructure Awards Program to recognize communities using GI to advance their wet weather management goals and enhance their communities. Applications are due on May 17. Applications are also available for a separate recognition program for communication around "Improving Water Quality". Danielle Mayorga, guest blogger and Program Manager at the U.S. Water Alliance, discusses the recently released Value of Water national poll on public attitudes about water. With the water crisis in Flint receiving substantial media attention across the nation, the results of this poll couldn’t be more timely. How can industry leaders use these findings to guide our collective efforts to move the nation to value water and invest in it? Read on to find out more.